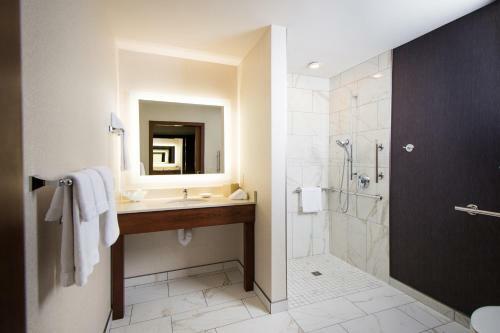 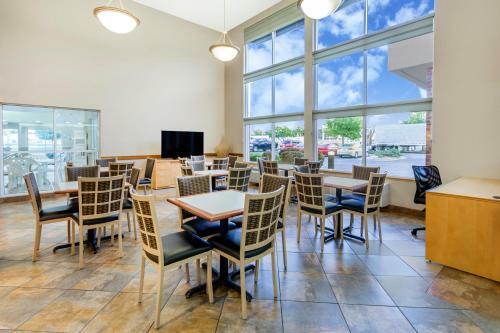 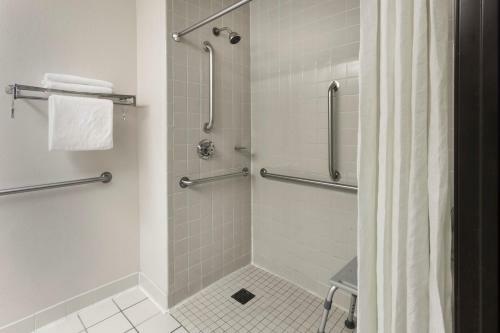 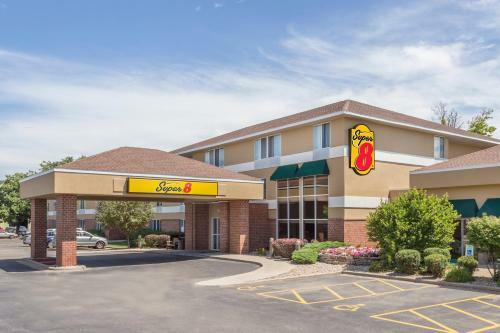 For a value-priced stay with plenty of amenities like free breakfast and an indoor pool the non-smoking Super 8 Madison South is a top contender. 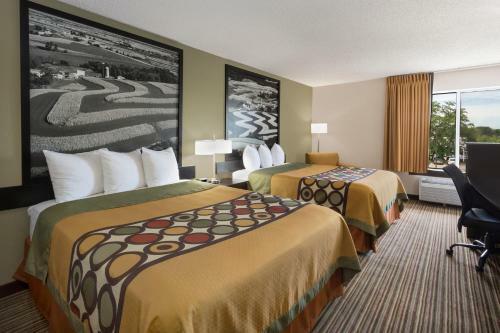 The three-story interior corridor-style hotel features 88 rooms with mini-fridges and flat-panel TVs with HBO. 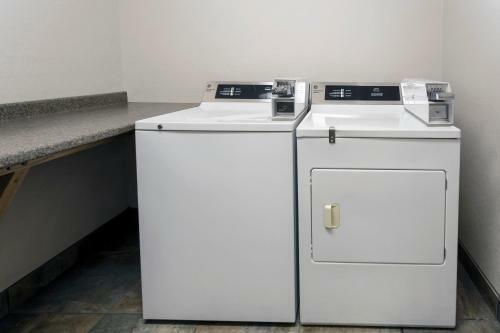 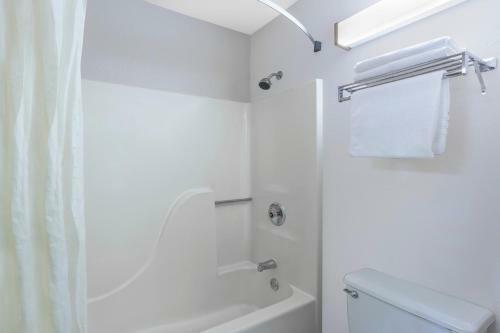 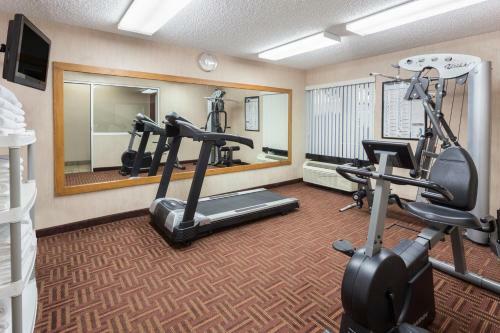 Relax in the indoor pool and hot tub take advantage of the business center fitness room and guest laundry and rely on the warm friendly staff to provide a high level of customer service. 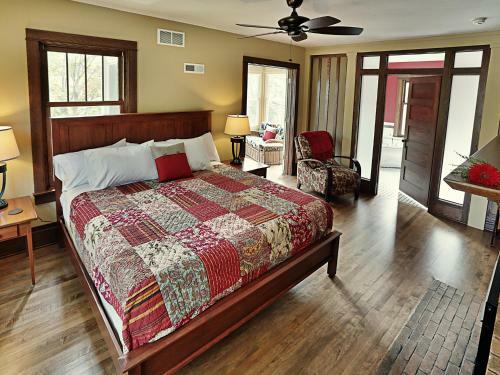 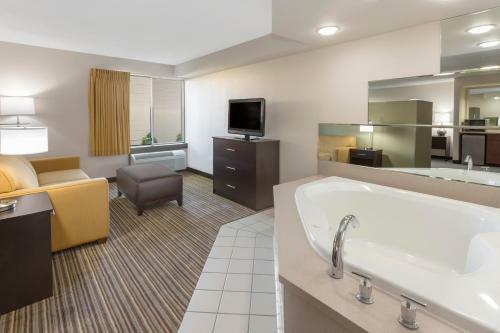 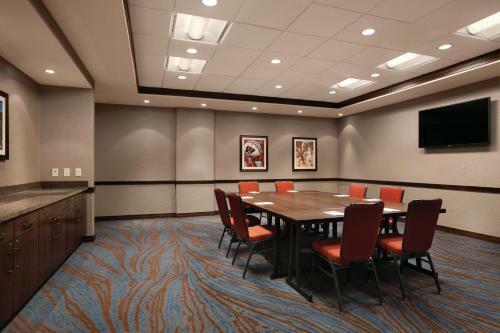 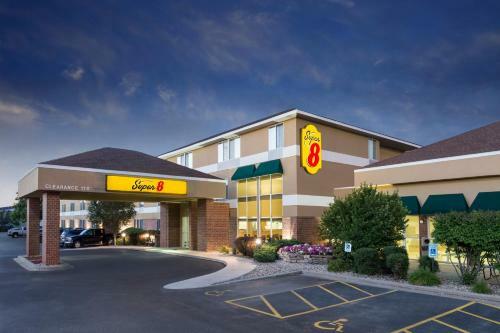 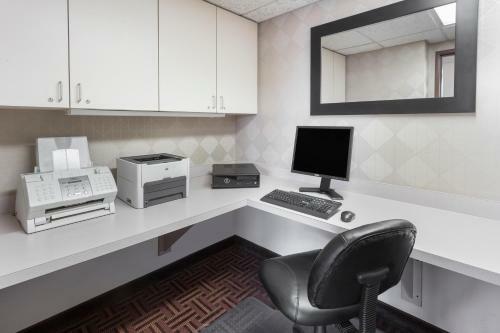 Super 8 Madison South is about six miles from the University of Wisconsin campus and is conveniently located within a 15-minute drive of the Kohl Center Camp Randall Stadium the state capitol and downtown Madison. 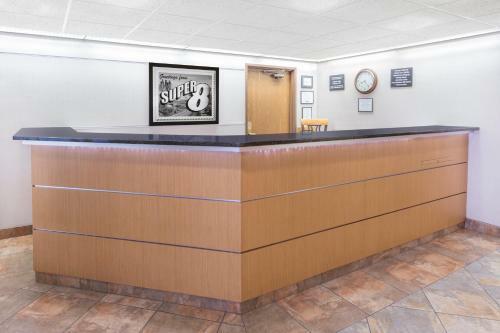 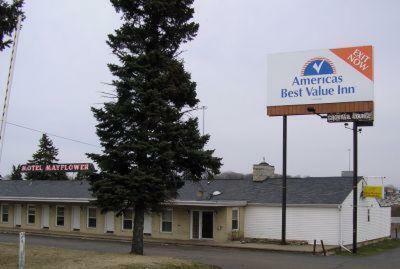 Dane County International Airport is 10 miles from the motel.